Lisa Ann Russell is an American model and actress. Though she hasn’t been active in the entertainment industry in recent years, she remains a topic of much interest thanks to her marriage to Survivor host, Jeff Probst. Before Jeff Probst, Russell was the wife of another Holywood A-lister, Mark-Paul Gosselaar. Let’s discuss her career as well as her romantic and family life over the years. Lisa Ann Russell was born on the 21st day of March 1972 in Sterling, Illinois. Following a period of living in Sterling, Russell’s family relocated to Chicago. She would later move to Michigan and then California. In California, Russell attended college and also began modeling on the side. Within a short-while, top brands came calling for her services, most notably Revlon. As the face of Revlon, Russell attracted several other brands to herself and became one of the most sought-after models of her time. As usual with some models, Lisa Ann Russell soon dabbled into acting. Her first acting gig came in 1993 in a small part in the hit TV show, Saved by the Bell: The College Years. Russell then continued modeling while occasionally accepting acting gigs. Next, she starred in the feature film, A.P.E.X. where she played the role of Natasha Sinclair. She also played a small role in the 1995 film, Twisted Love and portrayed Lisa in the 1996 action crime film, Kounterfeit. Two years later in 1998, Russell was seen as Princess Shalazar in the film, Sinbad: The Battle of the Dark Knights. Things have been quiet from Lisa Ann Russell in recent years. She was last seen on TV in 2013 hosting her husband’s show, The Jeff Probst Show. Lisa Ann Russell might not have been a Victoria Secret Angel or a blockbuster staple, but the model and actress worked enough to earn herself a seat in the millionaire’s club. Her net worth has been estimated at $2 million, though it dwarfs when compared to top acts, it is far from a chicken feed. Husband, Kids, and Divorce; Is She Married Again? Lisa Ann Russell has been married twice in her lifetime. She is currently married to Jeff Probst who is best known as the host of the long-running reality game show, Survivor. The couple tied the knot on the 5th of December 2011 at a private ceremony held at a residence in Los Angeles, California. The couple met for the first time at a holiday party hosted by Mark Burnett, the producer of Survivor. Lisa Ann Russell had attended the party with a couple of friends and would wind up in the path of Probst. The couple has stayed married ever since. Their marriage was the second time each party was walking down the aisle. Lisa Ann Russell was first married to Mark-Paul Gosselaar. She met Mark-Paul on the set of Saved by the Bell: The College Years. They were married on the 26th of August, 1996. In early June 2010, after two decades of being together, the couple announced their split. Their divorce was finalized in May 2011. Lisa and Mark-Paul had two kids together; a son named Michael Charles Gosselaar born on January 31st, 2004 and a daughter named Ava Lorenn Gosselaar who was born on the 7th of May 2006. 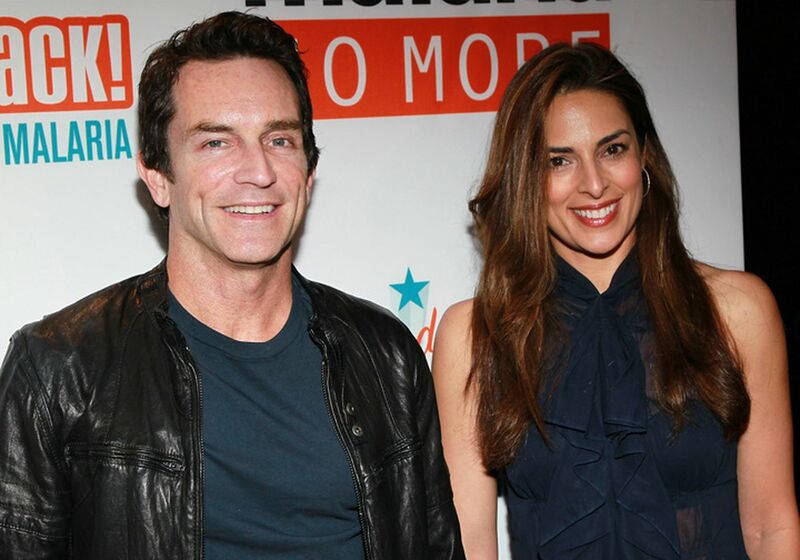 Lisa’s current husband, Jeff Probst now serves as the step-father of the kids. Together, alongside, Mark-Paul, the trio are operating a peaceful joint family raising the kids. Jeff revealed in his interview with Larry King in 2012 that he refrains from calling the kids his stepkids as they call him dad and not stepdad. Following his divorce from Lisa, Mark-Paul went on to marry Catriona McGinn, an advertising executive in July 2012. With her, he has two kids. On the other hand, Jeff Probst was previously married to Shelley Wright, a psychotherapist. They were married around the same time as Lisa and Mark-Paul from 1996 to 2011. Their marriage produced no kids. In 2004 after Probst’s first marriage ended, he fell in love with one of the contestants on Survivor, Julie Berry. Their relationship lasted for four years, ending in 2008.